Designed by Colonel S.V. Hotchkin and opened in 1923, East London Golf Club once again plays host to this years African Open. This is a co-sanctioned event with the Sunshine Tour and offers a prize fund of €1-million. The East London Golf Club sits among the dunes and rolling sandhills which overlooks the famous Nahoon Beach. It is a beautiful setting. A traditional course layout set amongst hills, dunes and coastal indigenous bush, it combines both links and parkland features. The strength of the course is the front nine which cascades across beautifully rolling ridges and heads into and around the dunes, tumbling down valleys and over hills to hidden greens and with plenty of short par 4s, birdies will be plentiful should the wind drop. I am sticking with a few players this week and the first one is going to be Thomas Aiken 10/1 who must still be reeling from his final round 74 which was his worst round at the Joburg Open by four shots, and those four shots cost the South African the tournament. Thomas has never won the African Open but has a runners-up place and three Top 15 finishes in the four years the tournament has been running. 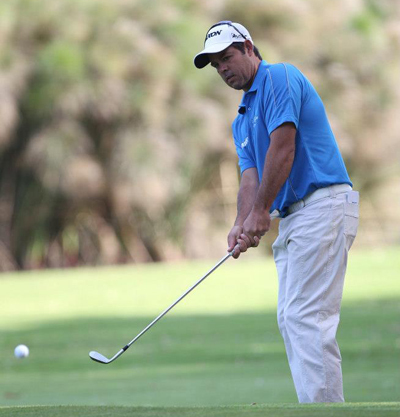 Another player who has a great record on this track in the last two years is Jaco Van Zyl 16/1 who has had a forth and a runners-up in that time. Jaco has had an average season so far with only two Top 25 finishes, but this is obviously a course Van Zyl enjoys and I think he will be challenging again this week. 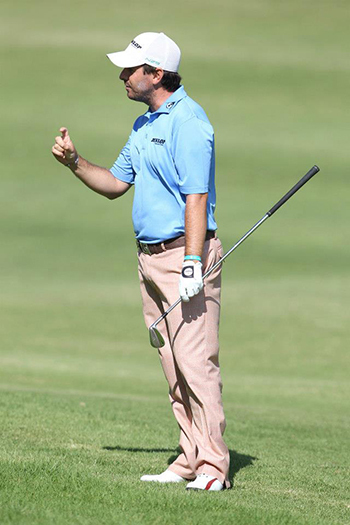 Another player I am going to stick with this week is Matthew Baldwin 33/1, the lad from Southport added his second Top 5 finish of the season at last weeks Joburg Open and added his forth Top 25 from his six events. As I said last week Matthew seems to have hit a rich vain of form and I can see him topping that off with a win soon and what better way to round off the South African swing of the Tour. I was slightly panicking last week when I saw Justin Walters 40/1 challenging at the Joburg Open because he was on my original list for that event and I deleted him off, shame as we would have had four of the six picks in the Top 5!! But I do think Justin will be challenging again here this week and no doubt he will learn a lot from that final round 73 which like Aiken cost him a shot at winning. Justin has never done well in this event but I am hoping he takes the positives from last week’s performance. Fredrik Andersson Hed 66/1 finished last season well with four Top 25 finishes from his last five tournaments of the year, two of which were Top 10s. Fredrik has only played two events so far this year on the European Tour and finished in eleventh place at the Nelson Mandela Championship firing a second round 65 along the way. It was good to see Robert Dinwiddie 80/1 do well last week finishing inside the Top 25 at the Joburg Open, regular followers will know we done quite well on Robert a few years ago as he seems to enjoy the African Swing of the European Tour. 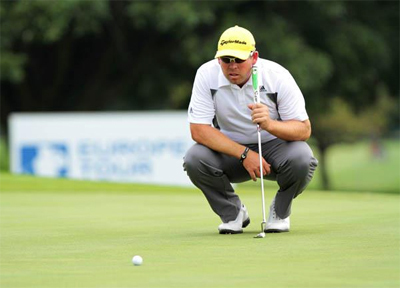 Dinwiddie won the Kenya Open in 2010 on the Challenge Tour and followed that up with three Top 10 finishes in his first year on the full European Tours early season African tournaments.